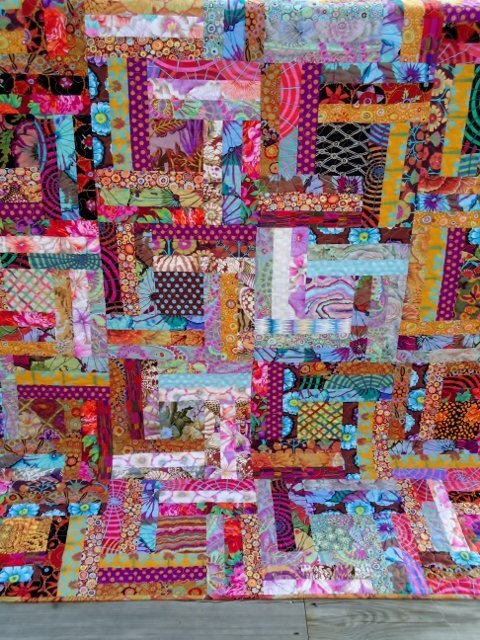 Fabric from the Kaffe Fassett Collective and the "Off The Rail" pattern by Jaybird quilts makes a 54"x68" lap quilt. Kit includes binding. Fabric will vary according to availability.